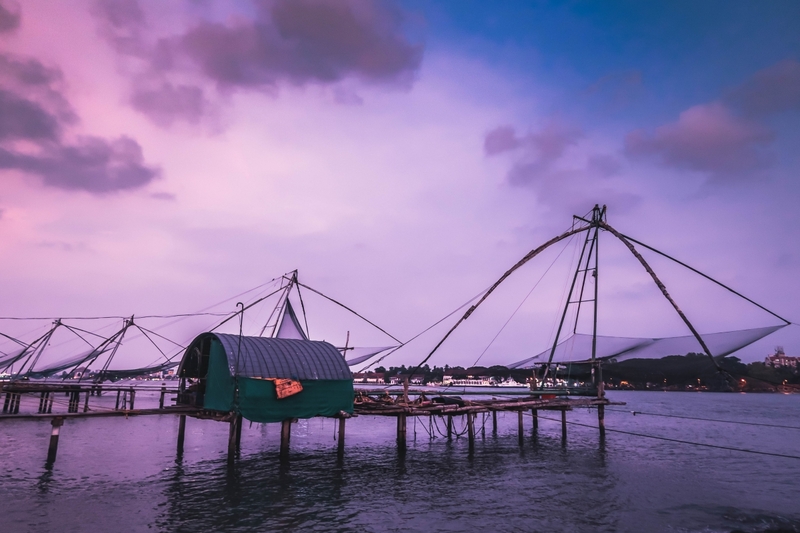 You cannot talk about Kochi without mentioning its coveted Chinese Nets. Colloquially called as Cheena vala, these nets are Kochi’s trademark and USP. 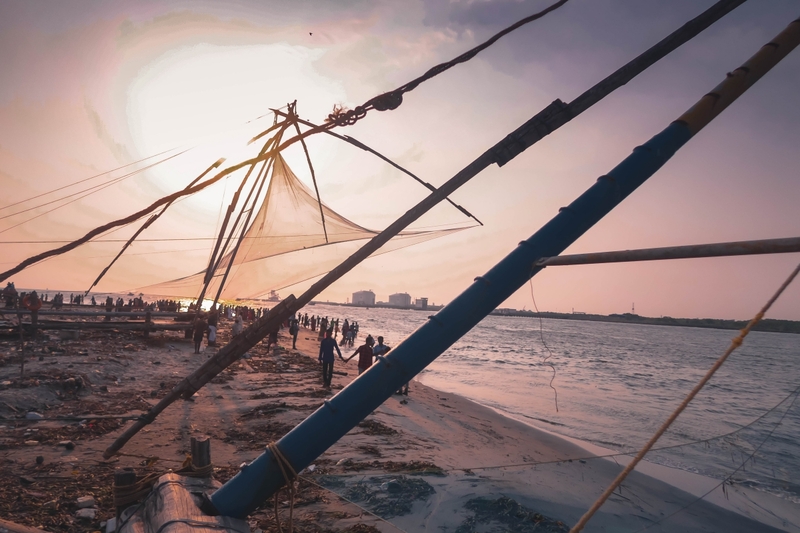 And rightly so because Kochi is the only place in the world where you can find these nets apart from China. Hard to believe but it is true. 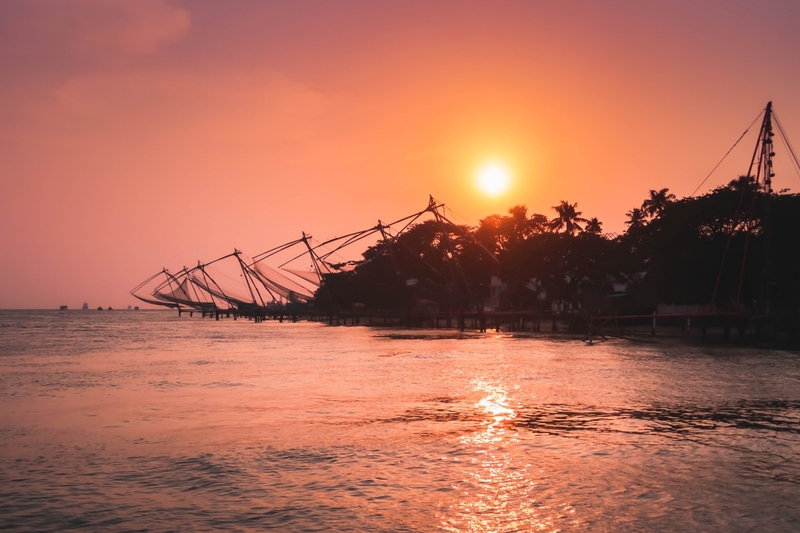 Seeing the “Chinese fishing nets in Kochi” is all over the internet as one of the “must dos” when in Kochi. Needless to say, I was excited for my maiden visit to Kochi mainly to see these nets. The internet is flooded with captivating pictures of these ginormous nets with the backdrop of a perfect sunset. The silhouettes of these nets with balance hues of orange and red, just the thought this visual warmed my heart. 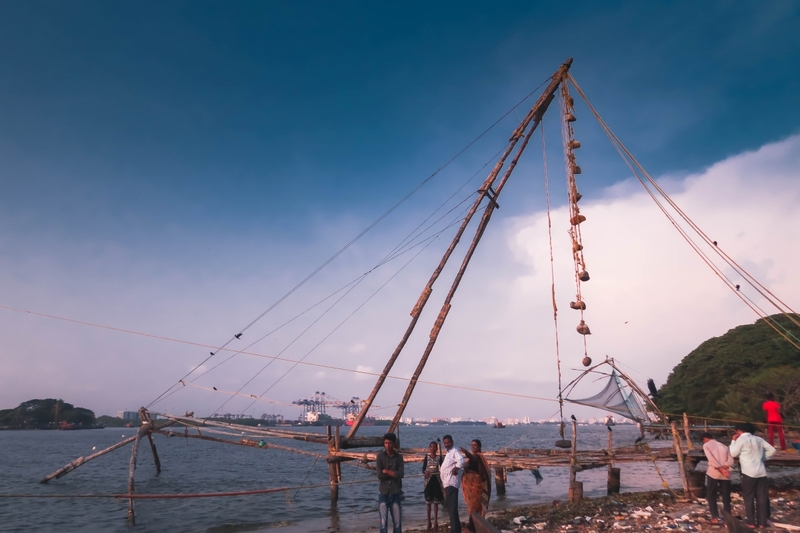 But my expectation took a hike when I actually visited Fort Kochi beach to witness these popular Chinese Nets. Before I delve deeper into my disappointments, yes there is an “s” in the end, let me tell you some interesting facts about these nets. But first, watch a video which shows the Chinese fishing nets live in action. The term “Chinese Nets” indicates that we are essentially talking about just the nets, however, it is not just the nets. It is a holistic structure which includes a 20 m or more wide fishing net on one side and big stones acting as counterweighs on the other side. Each structure is at least 10 meter high. To give you a little more idea imagine a cantilever with an outstretched net suspended over the sea and bunch of large stones suspended from ropes as counterweights on the other end. The pictures will give you more idea about the setup. The holistic Chinese Net structure. The Chinese nets are inside the water at this point. Though these nets are called “Chinese Nets” but they were brought in Cochin by Portuguese traders. Chinese Nets are not just fishing nets but it comes with its holistic setup. Apart from the nets, the whole setup which involves the ropes and cantilever is of Portuguese origin. It might also amuse you that the names of all the significant parts of the Chinese Fishing Nets are of Portuguese origin. For example, the main net used for catching the fish is called rede and its edge is called borda. The wooden part which holds the net is called brasao and all other important parts have also names from Portuguese origin. Safe to say the credit of bringing the Chinese Nets in Cochin goes to Portuguese traders. Unlike traditional fishing, fishing with Chinese nets isn’t a one-man job. It takes at least a group of six fishermen to operate the whole setup (as described above). The system is so well balanced that when a fisherman walk along the main beam, the net descends into the sea because of his weight. At this point, the heavy stones are suspended in the air from the ropes of different length. The net is left in the sea for a very short time and then it is pulled out by pulling down the heavy stones suspended in the air with the help of ropes. As the net comes up, the ropes with suspended rocks are pulled down. Sounds like a basic phenomenon but it is actually a lot of physics happening live. The ideal fishing season is the monsoon. During the monsoon, the nets are descended into the water for around 300-400 times in one go. The catch is generous during the monsoon and hence the fishermen make good money as well. There was a total of 24 genuine Chinese fishing nets but most of them got destroyed because of cyclone Ockhi. And now only 7 of them stand tall in all its glory. 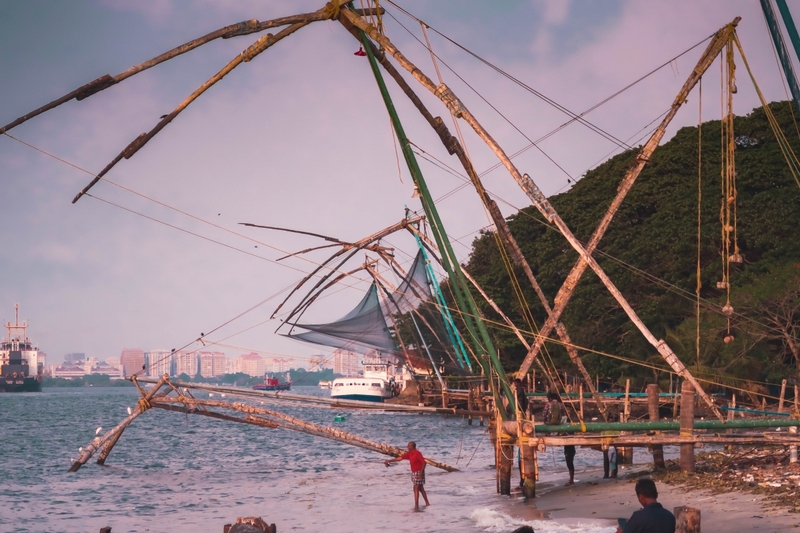 Though you can see a lot of Chinese nets on Vypin beach as well, but all of them are built by the locals by understanding the make of original Chinese nets. I am not sure how credible this fact is as the source is a local fisherman. But he sounded quite convincing to me. There could be many more facts about Chinese Nets that I am not privy of yet, but I plan to update this as and when I acquire more knowledge about the nets. Now let’s talk about the disappointing part of my visit to witness the grandeur of Chinese Fishing Nets. First things first, Fort Kochi beach is inundated with litter beyond imagination. I understand that there are hundreds and thousands of locals and tourists that visit the beach on daily basis. But the litter level of the beach surpasses the level that I had imagined. 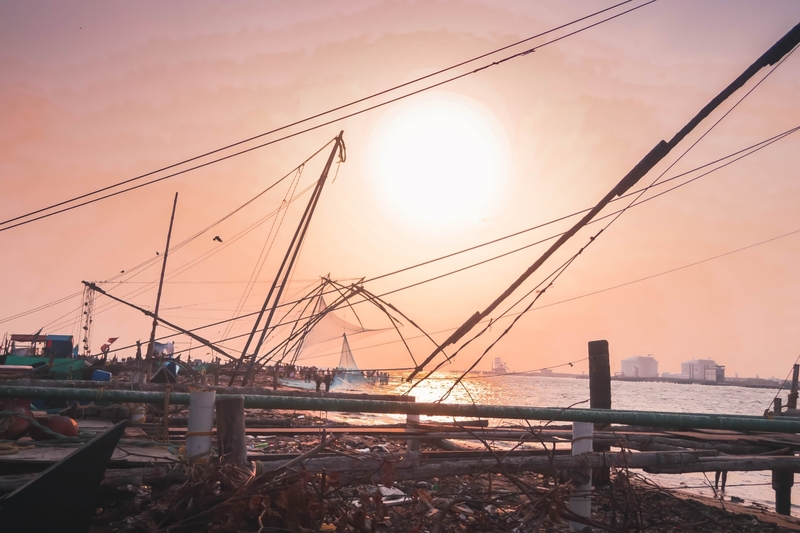 Considering the beach showcases the most coveted Chinese Fishing nets and is braced by thousands of Indian and foreigner every day the aesthetics of the beach needs dire attention. There are piles of plastics all over the beach. As the sun goes down the place is a volcano of mosquitoes. There should be strict rules against littering. And if there are already then there should be enough authority around the beach to ensure that the rules are being followed. This beach is high on every traveller’s list, mainly because of the Chinese fishing nets. But the current condition of the beach drops the mood to a level where your appreciation for the nets also goes for a toss. Coming to the other disappointing aspect of the beach and nets, both combined. The fishermen are in action on the Chinese nets during the morning and evening times. So if you are at the beach at the right time, you can also try your hands at fishing. The fishermen generously invite you to climb up the plank. They let you help them either to drop the nets or pull it up. It’s a fun process. The fishermen also sing a typical song, which they are happy to teach you as well. The catch is when the drill is over and you are about to leave. They ask you for a tip, which is fine by me. But they ask you for a specific amount, which is my point of concern. They don’t let you leave the plank and get down until you drop the asked amount. I don’t have a problem dropping a tip. But I have a problem with dropping the asked amount. And after a point, the whole conversation becomes intense with shouting and screaming. I was very disappointed with the experience. Maybe all the fishermen are not like that, so I won’t spoil it for everyone. You might not experience the same but I returned back with anger and disappointment. 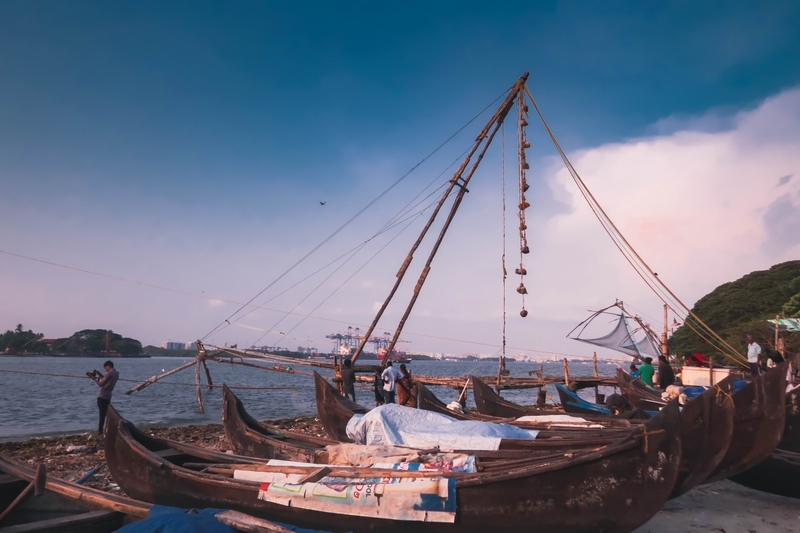 The most sought-after destination in Fort Kochi, the one whose gorgeous pictures on every brochure and pamphlet is bustling with plastic bottles and litter. The expectation is sky high for Chinese nets and it sinks like a stone. Having said all this, it is not all bad at Fort Kochi beach. The sunset at Vypin beach is probably one of the most captivating and delightful experiences I have ever had. There is no doubts that the nets are gorgeous and the whole fishing process is interesting to watch. But the holistic experience has now a black spot because of so many another important variable playing around. If I ever go to Kochi again I plan to spend more time on Vypin beach. As the sun goes down the beach gets swamped with giant mosquitoes. Thanks to all the litter and fishing left outs. Ensure to carry some mosquito repellants if you plan to stay late after the sunset. This one is for all the women out there, dress modestly. Though it is a beach and you would want to put on your shorts and bikinis but please refrain. Unless you are okay with occasional verbal adulations coming from all around. However, you can take your chances if you are in a group. If you are hopping on a Chinese fishing net, make sure to talk about the tip amount beforehand. The situation could really tricky when the fishermen don’t let you get off the plank unless you pay them the asked amount. Good that you wrote this. How much tip did they insist? They were asking for 500, which I thought was too much. After a lot of discussions, they let me down after paying them 100. But it was very embarrassing. 10 Tips For Safe And Memorable River Rafting ! Majnu Ka Tilla – The Tibetan Twist To Delhi !